We are looking forward to the 42nd Annual Assaults on Mt. Mitchell and Marion presented by Greenville Health System in one short week, and wanted to take this opportunity to bring an important change in the route to your attention. Due to unforeseen roadwork, a partial re-route of both The Assault on Mt. Mitchell and The Assault on Marion riders is necessary, beginning at mile 26.7 and ending at mile 36.5. An updated cue sheet is available here. An updated cue sheet is available here and the route is updated on Ride with GPS. We always consider re-routing a decision of last resort. In this case, the roadwork and surrounding construction was initiated very recently, and cannot be postponed or paused due to a hard deadline for completion as the area prepares for the Olympic trials that will be conducted at the Tryon International Equestrian Center (TIEC). 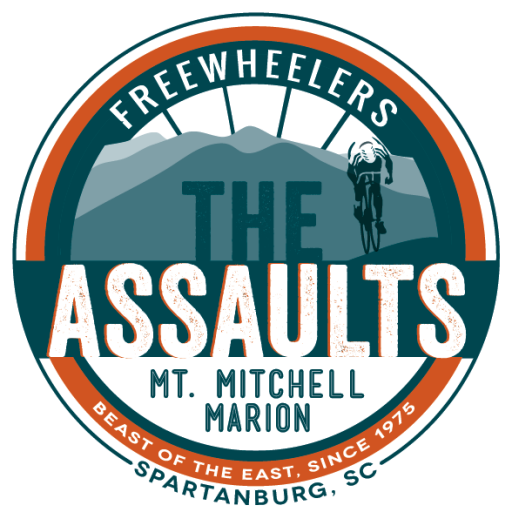 The NC Department of Transportation, Polk County Police Department and the Board of Directors for The Freewheelers Cycling Association have reviewed and approved the changes to the course. Board members from The Freewheelers Cycling Association drove this section of the course yesterday and feel confident that this re-route is not only necessary but meets the standards for The Assaults as a whole. It should be noted that the re-routed course does include a dangerous, downhill hairpin turn at mile 31.3. 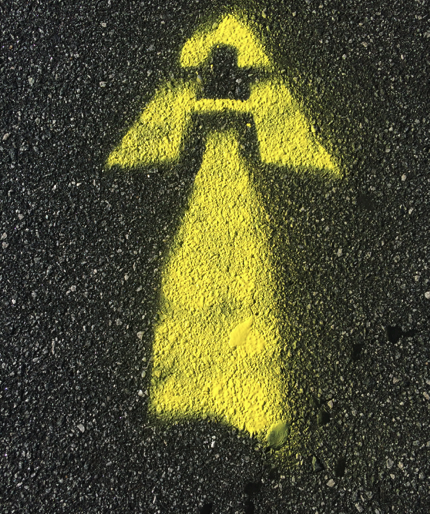 As a reminder, the course contains the additional, downhill hairpin turn at mile 43.5. During the Polk County portion of the course (between mile 31 and 44), please use caution and be extra conscious of riders around you.